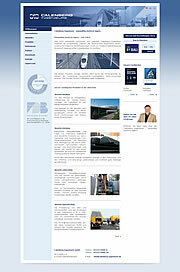 Since 1972 Calenberg Ingenieure develop / produce and market their products worldwide. In the building and construction industry Calenberg Ingenieure is the competent partner for elastic, elastomeric bearing systems of statically loaded structural elements and for structure-borne noise insulation of dynamically loaded structural members. Railway Construction : Elastomeric track mats and bearings of Calenberg Ingenieure are proven products made of natural rubber and high quality synthetic rubbers. Noise Protection : Increased environmental conscious- ness and the knowledge of detrimental effects on health due to high noise levels require effective measures to combat the effects. Environmental Protection: Leakage of oils and lubricants and their penetration into the subsoil e.g. in maintenance and storage areas of locomotives etc. have to be avoided at all costs. In prefabricated and in-situ concrete construction and other fields elastomeric structural bearings of Calenberg Ingenieure are used for a wide range of applications such as exact load transfer, forming of movement joints or protection from damage due to deformations caused by thermal actions. Elastomeric track mats and bearings of Calenberg Ingenieure are proven products made of natural rubber and high quality synthetic rubbers. They lead to a reduction in vibration caused by rail traffic and are suitable for the ballasted track as well as the ballastless track (slab track). By reducing the damaging energy to permanent way and substructure a long service life and consistently good track alignment is guaranteed.